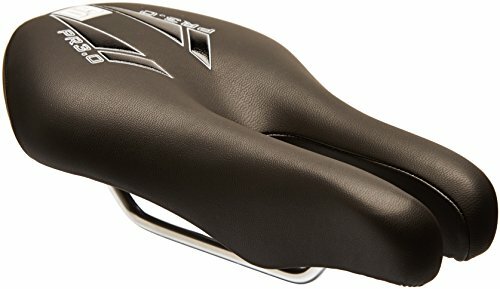 ISM’s Performance Recreation saddles are based on the same platform as ISM’s Performance Short saddles, but feature extra padding for more long-mile comfort. The PR 3.0 has ISM’s highest level of padding, and a wider 145mm rear end - ideal for upright bikes, or anyone struggling to find comfort. Prior to 2016, the PR 3.0 was sold as the Typhoon model. 60-series foam-and-gel padding. Rear transition hook. Same chassis as the PS series. Nose-less design removes pressure from soft tissue, ensuring maximum blood flow, no genital numbness, and a healthier, more enjoyable ride. Color: Black. Width: 145. Genre: 235. Material: Synthetic. Gender/Age: Unisex. Rail Material: Steel. Clamp Style: Std Rails. Defined Color: Black. Saddle Cut Out: Yes. If you have any questions about this product by ISM, contact us by completing and submitting the form below. If you are looking for a specif part number, please include it with your message.